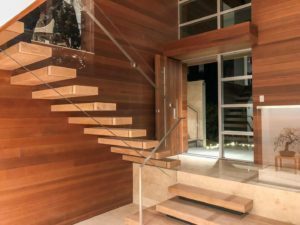 Our team enjoys helping take a vision from concept to reality. 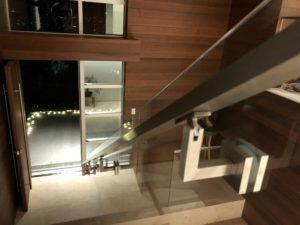 At the end of 2017 we completed a unique glass railing project in Marin County. 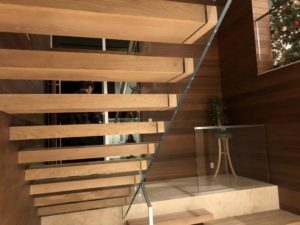 This particular glass guardrail was located on a set of floating stairs. The design may look simple. 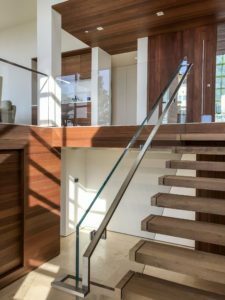 However, a simple, single piece of glass truly takes a collaborative effort. 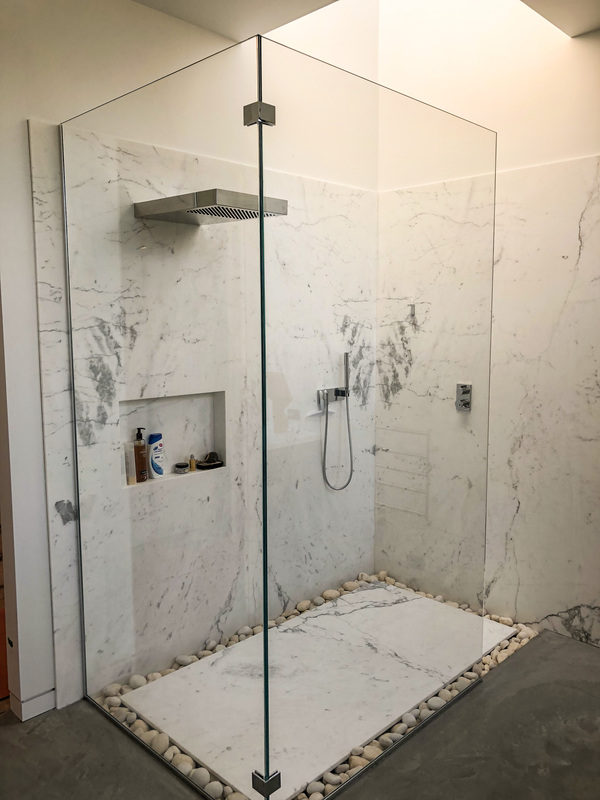 In order to achieve the end result – it required coordination between our glass engineer, the project’s structural engineer, GC, architect, owner, glass fabricator, custom steel fabricator, and our installation team. 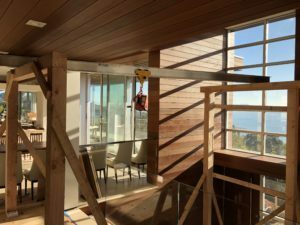 The glass was installed using our Woods Powr Grip Suction Cup, a Beam Trolley, Chain Hoist, and Shoring provided by the General Contractor. The glass was brought in the entry door from the driveway via a aluminum beam and trolley. 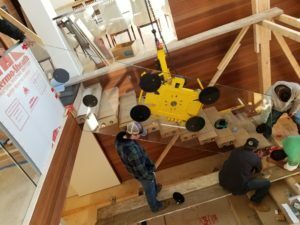 Our Wood’s MRT811 Suction Cup Assembly was used to set the glass in place.